When Pottery Barn reached out to collaborate on this post (after doing a happy dance in my office because we all know how I feel about PB!) I knew exactly what I wanted to share with you all. 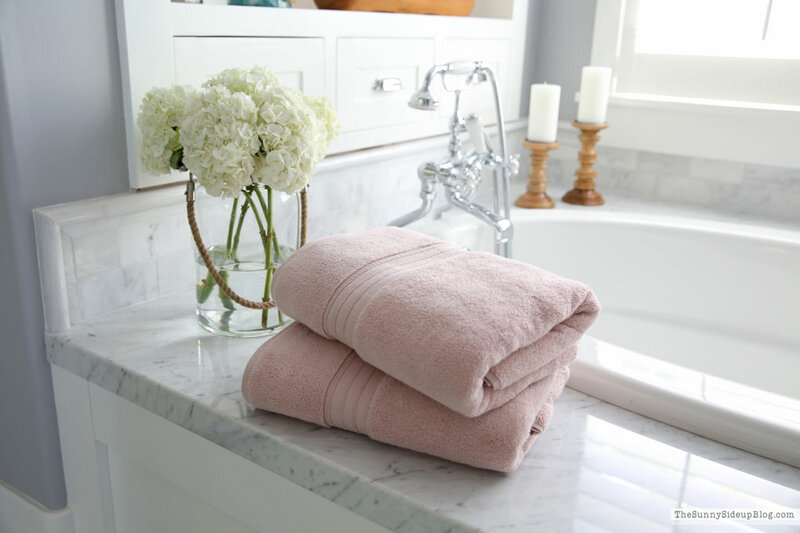 Their Hydrocotton Quick Drying Bath Towels are long time favorites (they are seriously so plush and soft!) 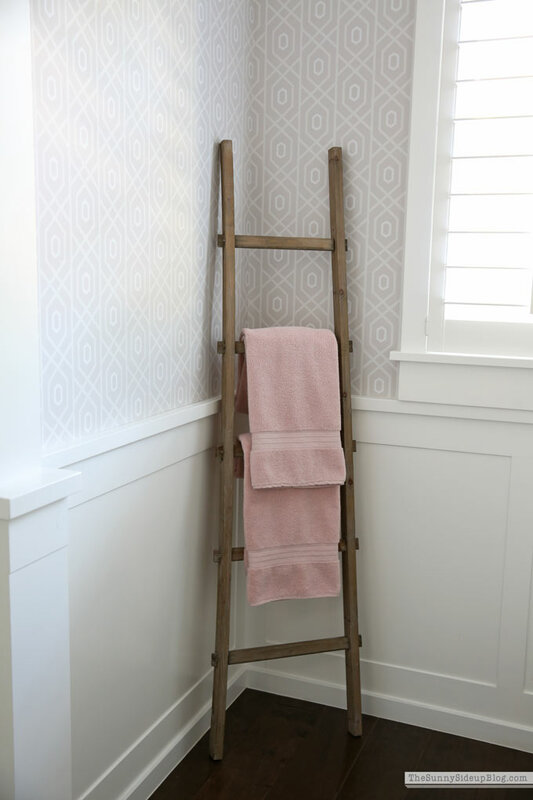 and I’ve had my eye on the Rose colored towels for a while now. 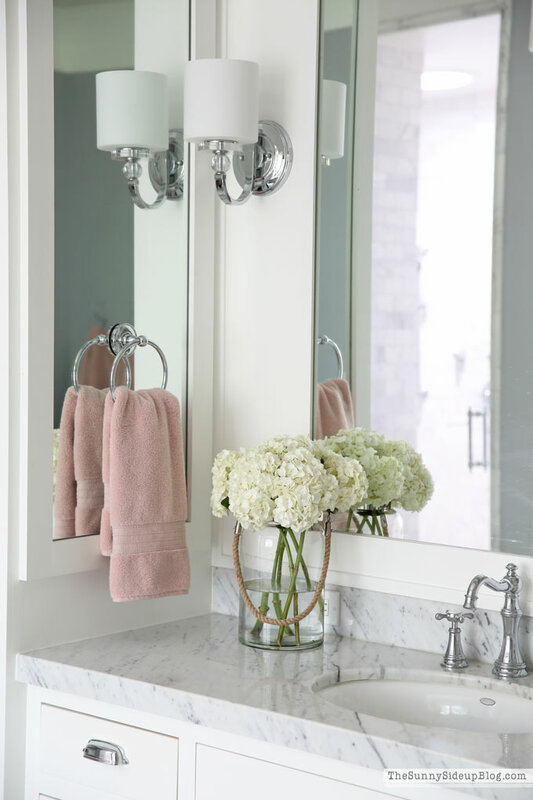 It’s such a treat when I find things I love to use daily that also look great in my home and work with my decor. 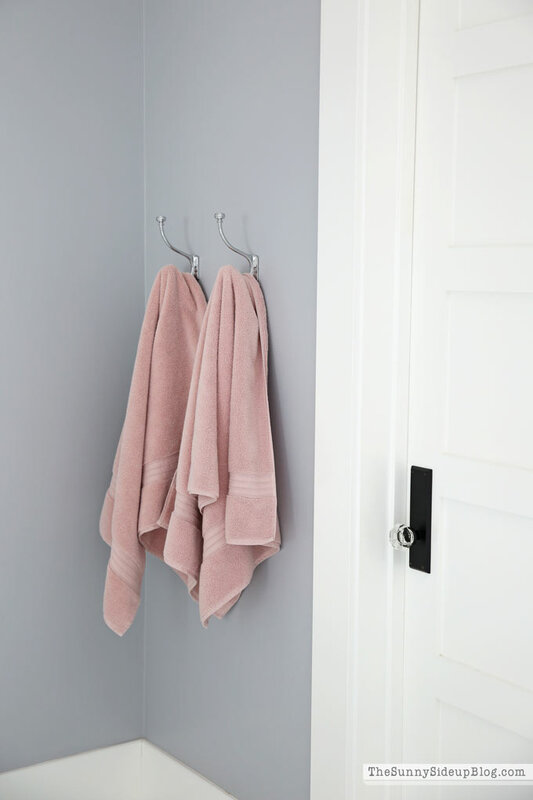 The rose color in these towels looks so good against any and all grey paint! Making them perfect for my bathrooms. 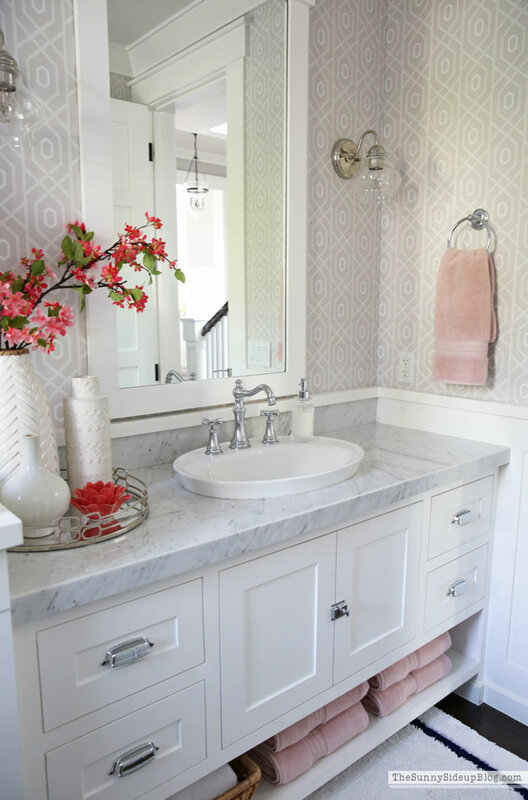 I already had pops of coral in my master bathroom and love the combo with the soft pink! I wondered if Kenny would mind the pink towels but he didn’t say a word about the color.. only how soft the towels are which was no surprise. He never notices details about how things look! Only how they function so the towels are a win. For both of us. 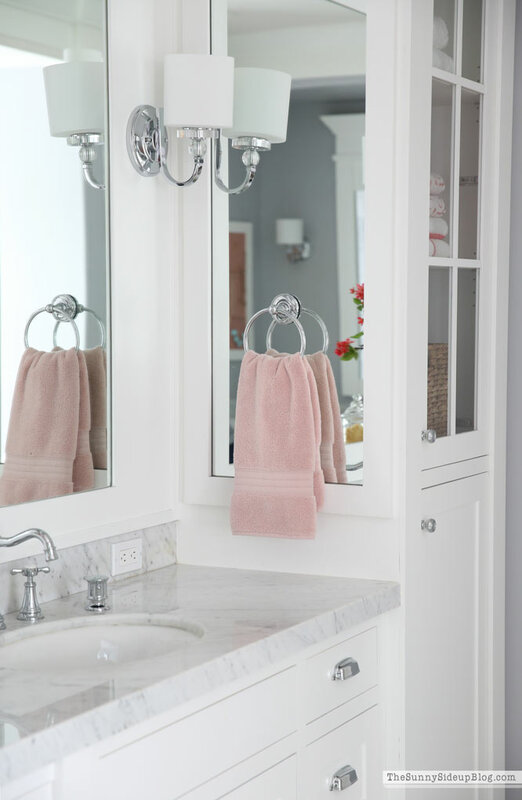 I loved my new towels so much in my master bathroom I decided to put some in my powder bathroom too! This rose color is a deeper pink making it perfect to transition from summer to fall. 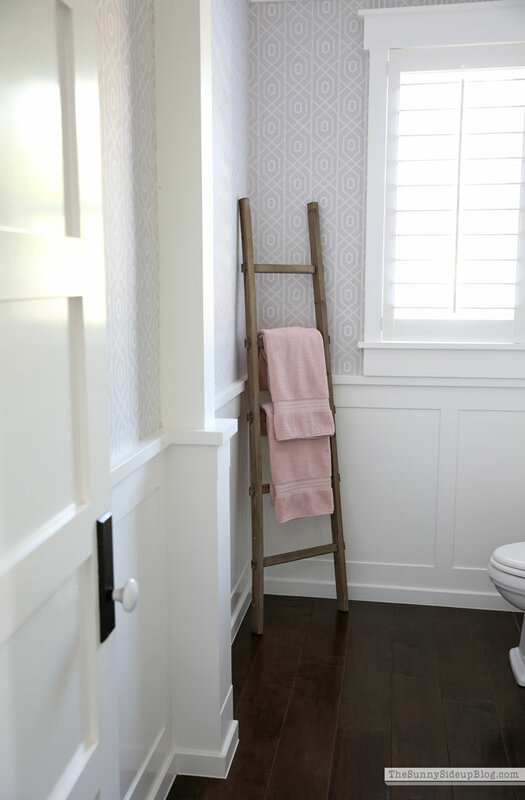 I have a feeling a lot of pink will be popping up in fall home decor this year. It’s such a hot trend! I’m still trying to decide if I want to keep the pinks or go with traditional fall colors. What’s your favorite for fall? 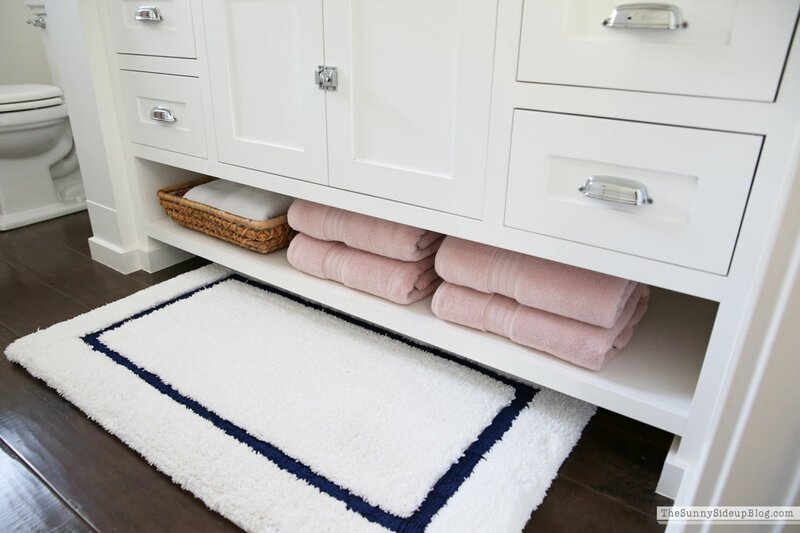 I added some of the same towels below my powder bath vanity, added a white hydrocotton towel in my basket and washed my bathroom rug. I also got this pretty pressed glass soap dispenser! I’ve needed a new soap dispenser for a while now and love the vintage look of this! I also ordered a few more pressed glass accessories and am patiently waiting for them to arrive. 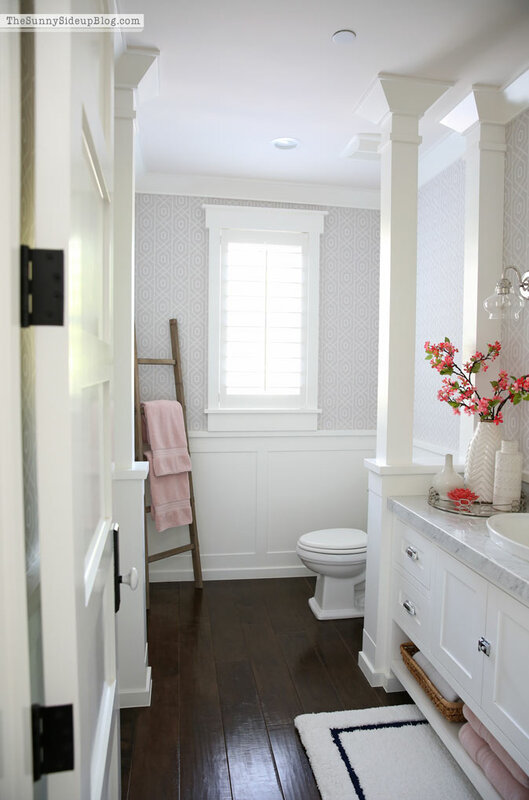 A few simple changes and it feels like a new space every time I walk in this bathroom! 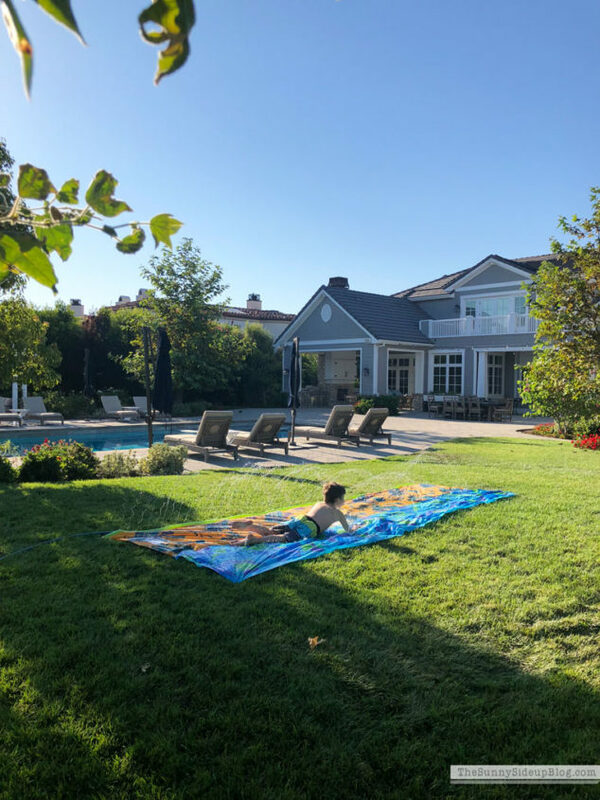 Huge thank you to Pottery Barn for sponsoring this post! And for helping me decorate my home through the years. Your style and quality keeps me going back. And back. And back again. Love the pink! 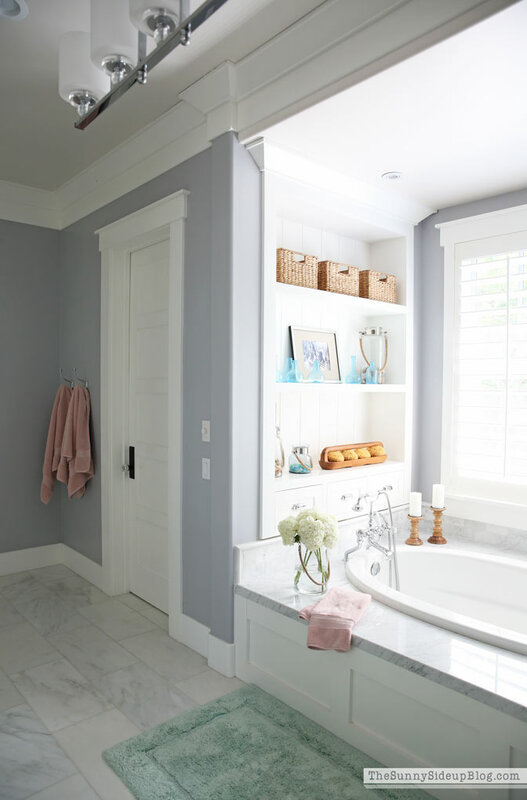 Actually love your entire bathroom! 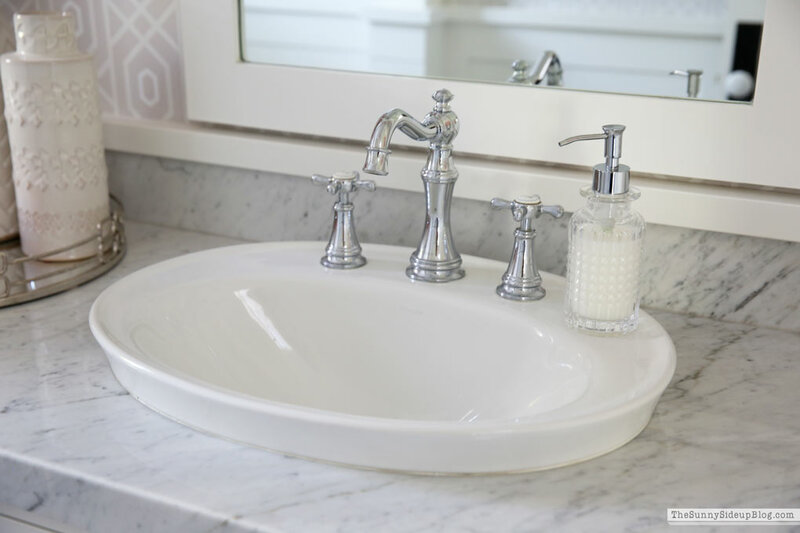 Do you know the brand of your bathroom faucets? 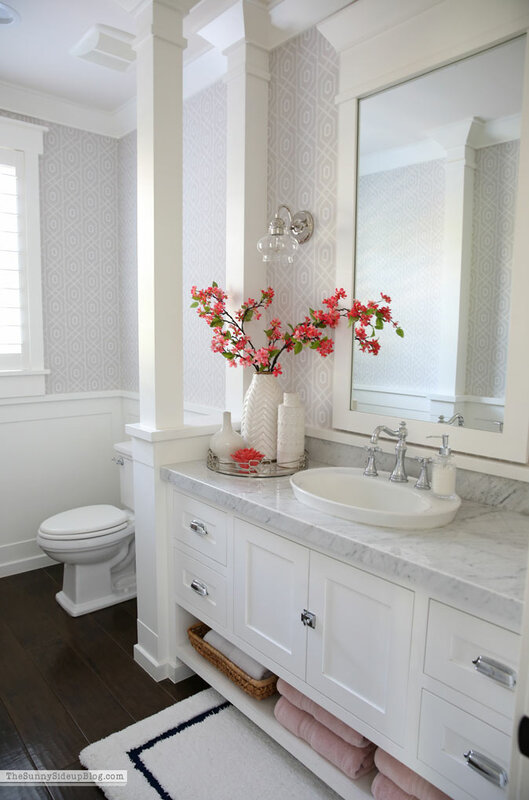 We are in the process of remodeling our master bath and I am looking at faucets similar to yours. Thank you! 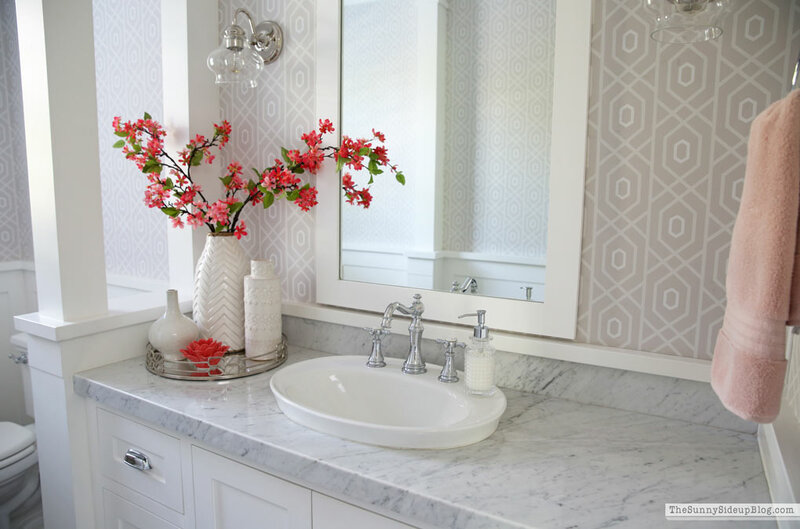 Loving your bathroom pics! 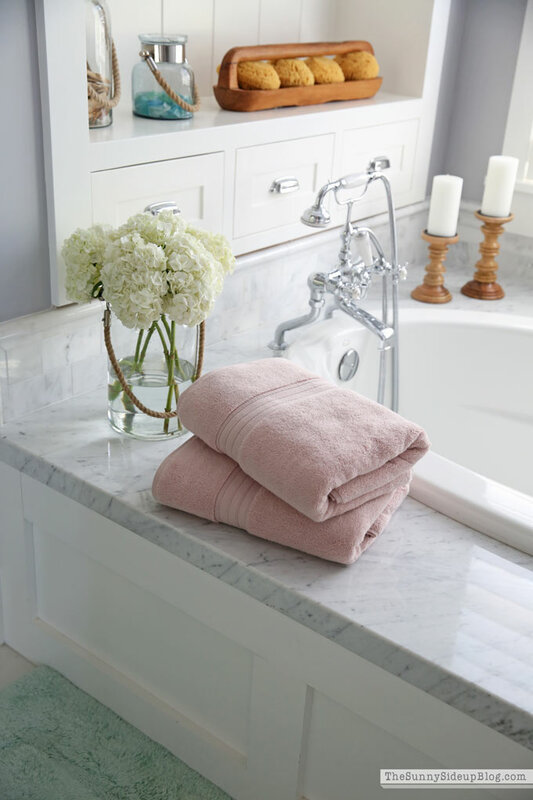 The towels make everything look so clean and plush. 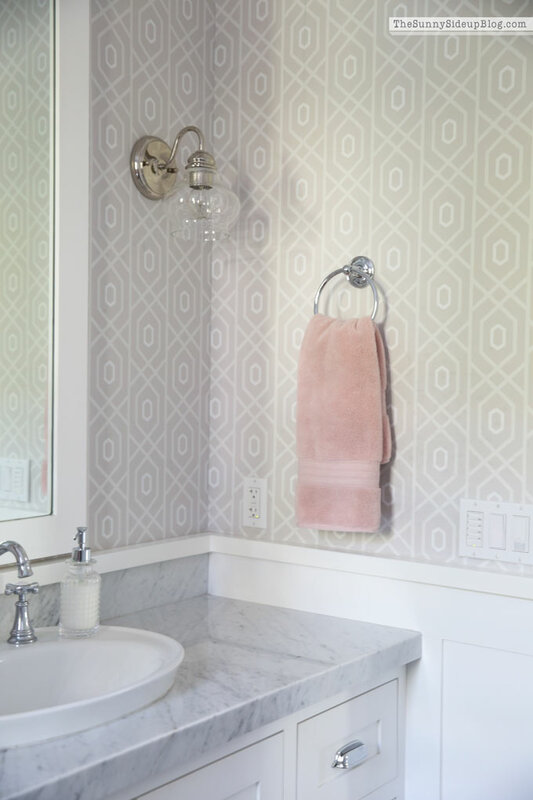 Do you have a post on your powder bath wallpaper? I love it and would love to put it on the wall behind my washer and dryer. I look so forward to all your post,and just love your style. 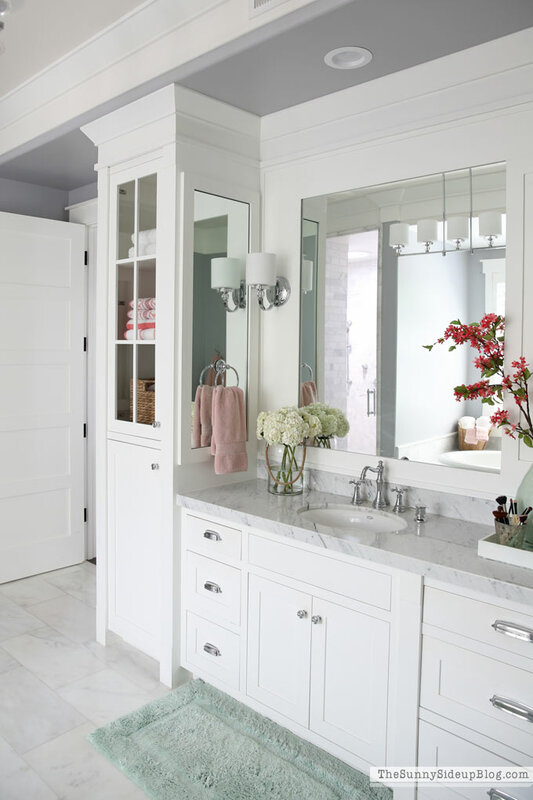 Please keep inspiring me,I think I need those towels in my bathroom. Your home is gorgeous!!!! I just ordered throw pillow covers from H & M in dusty pink! I’ve been wanting to incorporate this color in our living room too but still not sure how my hubs will react. haha! Good thing the covers are only $5.99 each. I do love plush towels that are fast drying too. Did you say these towels dry fast? So pretty. 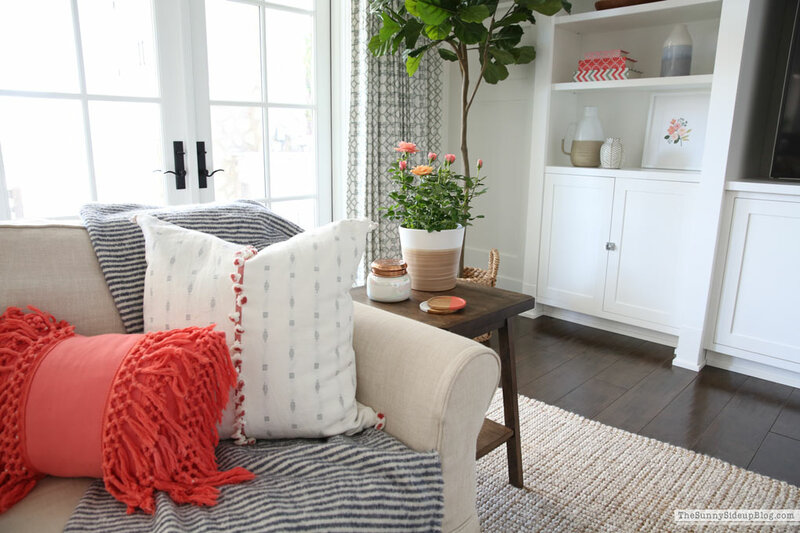 Where are your vases from? 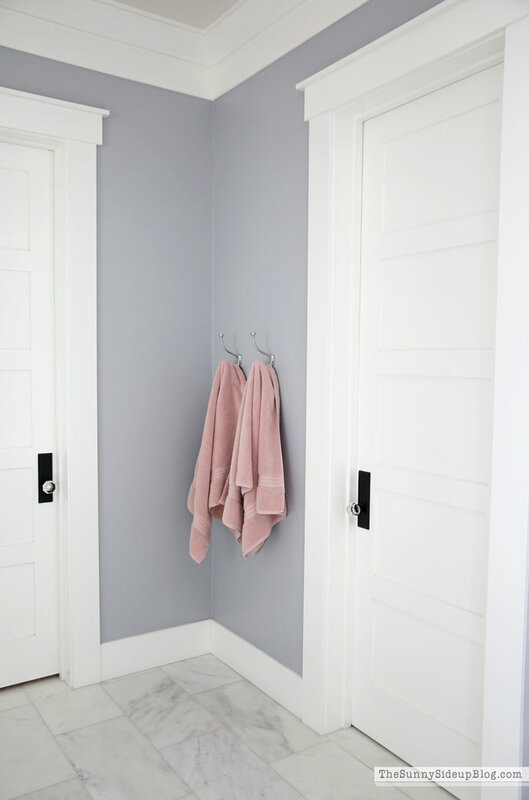 I found your blog recently on Pinterest while searching for the perfect gray paint. 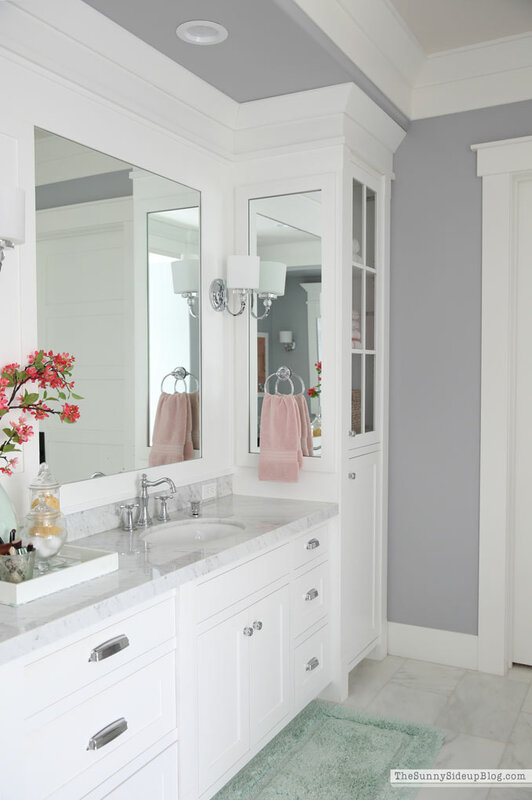 I am remodeling my master bath and your site is such an inspiration. You have a beautiful home. Love all the decors. 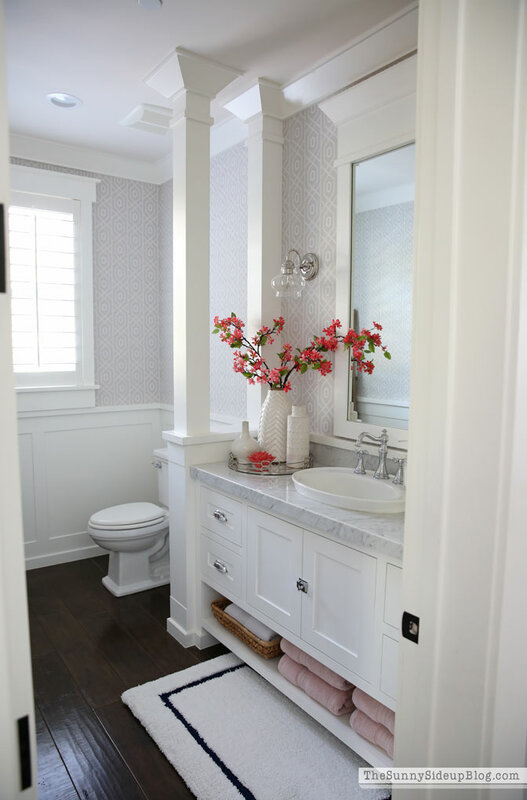 I’ve wanted for so long to have a chandelier in my bathroom over my tub but my hubby said that it will be tough to move the electrical because he has to crawl into a tiny space. So there goes my dream 😩. Then, I saw the one you put in your master bathroom. It’s rectangular and can stay in the same area in my ceiling. Hooray! Do you mind sharing that info? Thank you.